As Seattle natives, San Francisco was always our go-to weekend getaway growing up + even now that we’re in our 20s. We’ve driven + flown down to San Francisco more times than we can count! L even spent her freshman year of college living in the Bay! Every time we visit we fall in love a little more + now we’re here to share with you our go-to spots in the Bay. North Beach - North Beach is home to “Little Italy” + also close to some popular spots for tourists, such as Fisherman’s Wharf + Chinatown. It tends to have a more laid back vibe + is a great option for visitors! SoMa - SoMa is located south of Market (hence SoMa) + is a great location to stay in if you’re interested in hitting up some of the wonderful museums SF has to offer. There are also great restaurants + bars in the area for when you’re looking to unwind after a day of sightseeing. 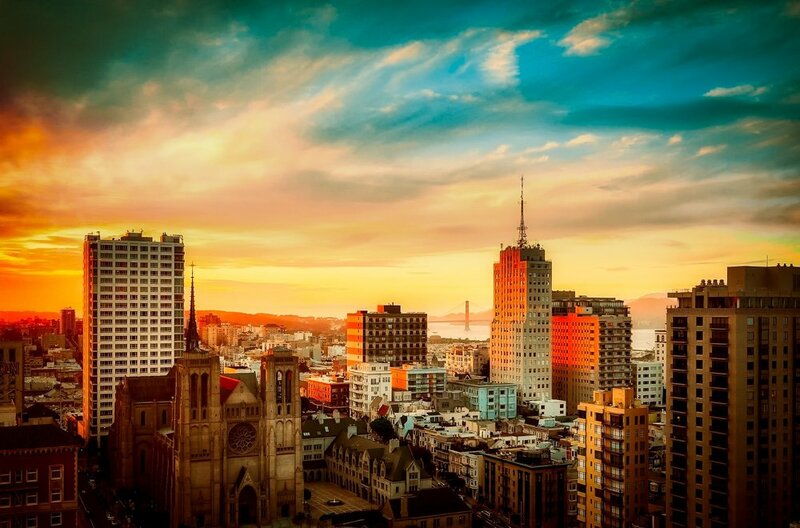 Nob Hill - If you’re looking to class it up a little bit, Nob Hill is the neighborhood for you. Some of the fanciest hotels in SF are located here so this is only really a good option if you’re looking to splurge. Russian Hill - L stayed here on her most recent trip + it’s an adorable neighborhood in the heart of the city. It’s also home to the famous Lombard Street if that’s high on your list of stops. You’ll find lots of yummy food + cute stores in this neighborhood. Berkeley - K stayed in an Airbnb in Berkeley on her most recent visit. If you’re looking for a more cost effective area of the Bay, or looking for a slower pace, Berkeley is the place for you! There’s plenty of yummy restaurants + cute shops around, + it’s also just a short train ride into the city! Flower Power Walking Tour - L + I both booked this tour for our most recent trips to San Francisco. On the tour, we explored the neighborhood of Haight-Ashbury, the birthplace of the hippie movement + The Summer of Love. Everyone from Jimi Hendrix to The Walking Dead lived in this neighborhood + you’ll visit all of their homes, as well as learn so many fun + interesting facts about the neighborhood + San Francisco’s history. Bike the Golden Gate Bridge - There is no better way to take in the iconic Golden Gate than to bike. Not only does it make for great exercise to burn off all of the yummy food from your trip, but the views are well worth the work. We both rented bikes from Blazing Saddles near Ghirardelli Square and biked the, roughly, 8 miles from the city across to the seaside town of Sausalito. The bike company provides you with ferry tickets, so that you can enjoy some food + drinks while in Sausalito + take in the city views by boat on the return trip. Golden Gate Park - This massive city park is conveniently located next to the Haight Ashbury neighborhood, so you can explore the park following your tour. The park is actually even larger than Central Park and has so much to offer. From a stunning Japanese Tea Garden to several art museums, you could spend the whole day here + never get bored. Potrero Hill - K visited this neighborhood based on her friend’s recommendation + loved it! The neighborhood is quite a trek set up on the hill, but so worth it. The streets are lined with cute restaurants - perfect for brunch, coffee shops, + boutiques. Ferry Building - The Ferry Building on the Embarcadero has been a staple in our SF vacations since we were little. The historic building is set right on the water with stunning views of the Bay Bridge and this is actually where the ferry drops you off after visiting Sausalito. The building is filled with the best shops, food + drinks. Think Pike Place Market, but way better. El Techo - This yummy rooftop Mexican restaurant is located right in the middle of The Mission. Any time of year makes this the best pitstop for happy hour or dinner. We ordered the pitcher of margaritas + chicharrones - they were both to die for! Be sure to stop next door at Laszlo for a after dinner drink. Provender - This coffee shop in Potrero Hill had the most delicious cold brew that is brewed with maple wood - it was so good it even converted Kelda to become a coffee drinker! Ippuku - This Japanese izakaya-inspired Berkeley restaurant may be a little bit out of the city - but the food was worth the trip! Ippuku is an intimate little restaurant with hidden booths + floor seating that make it the perfect date night spot! The Cliff House - Located in the Sutro’s this restaurant offers incredible, sweeping views of the water. Head here if you’re in the mood for yummy food + incredible views. Sutro Baths is also a great photo op! Sparrow - This Haight Ashbury eatery is a great place to stop for lunch after the Flower Power Walking Tour! They have delicious brunch options, sandwiches, soups, + salads making it a nice, easy lunch spot. 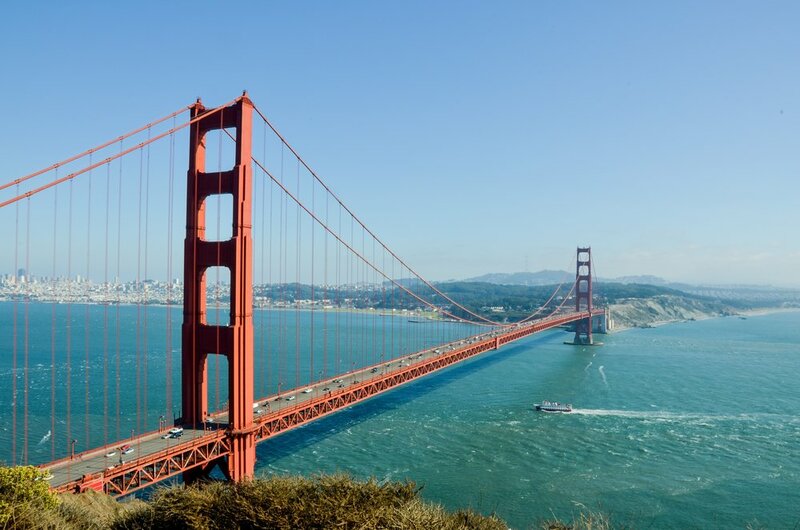 There you have it - our go-to spots to tackling San Francisco! What are your favorite spots to visit when you visit the Bay? Let us know in the comments - we love to try new things when visiting one of our favorite cities!